Every parent is a little biased about their child’s talents. 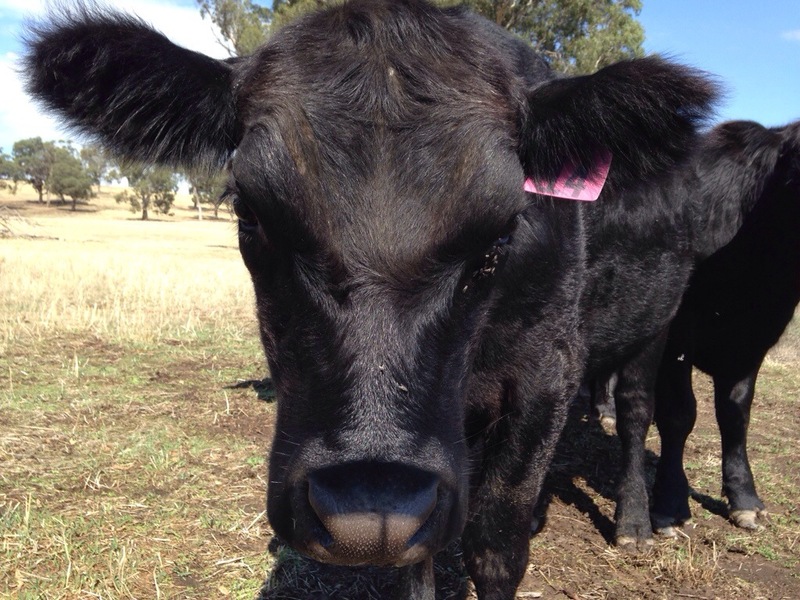 So it’s not surprising that I think our Angus Boys are very clever. 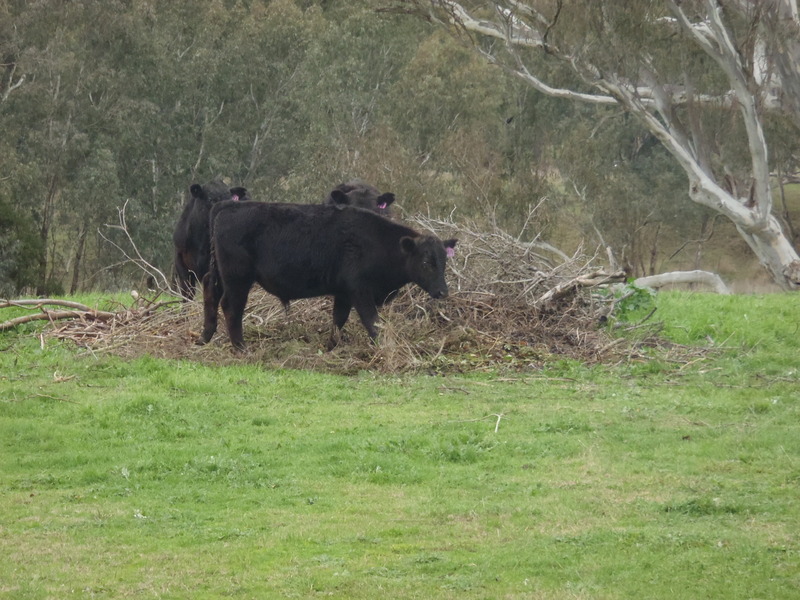 This morning, Hubby had some mowing business to attend to and whilst I was sipping my morning coffee, I spied a few familiar black masses in the paddock nearest our cottage – the very paddock that I had moved those familiar black masses from yesterday. The Boys had somehow opened the gate and let themselves back in! Down went my coffee, on went my boots, and out I headed. As I walked up to The Boys, they slowly started heading towards the very gate they’d opened. I walked ahead, and with few “Koo-mons!” we soon had a game of Follow-The-Leader! Our gentle approach has seen them become very calm and they seem to know that when we appear, we take them to greener pastures. So within less than ten minutes, The Boys were reunited with the rest of their brothers chewing happily, even posing for photos. And I was back with my coffee! 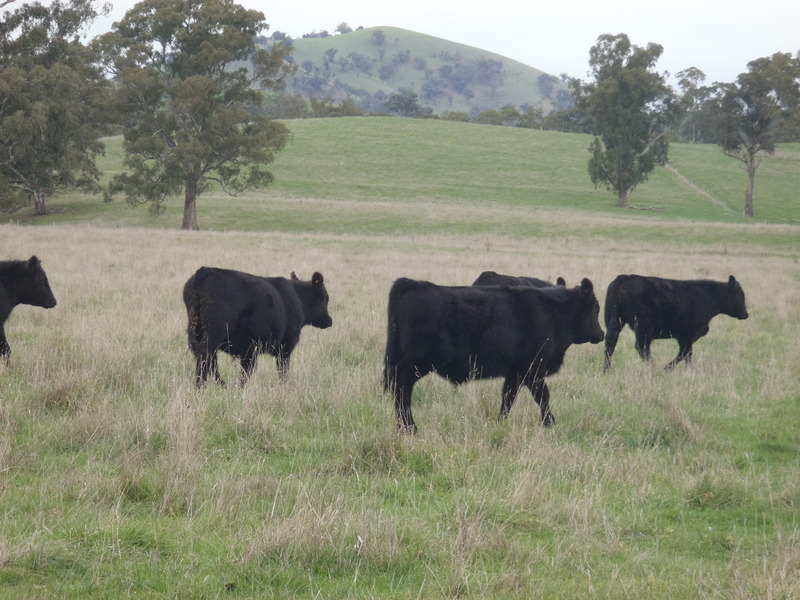 I’m out with the boys today, moving them to greener pastures. 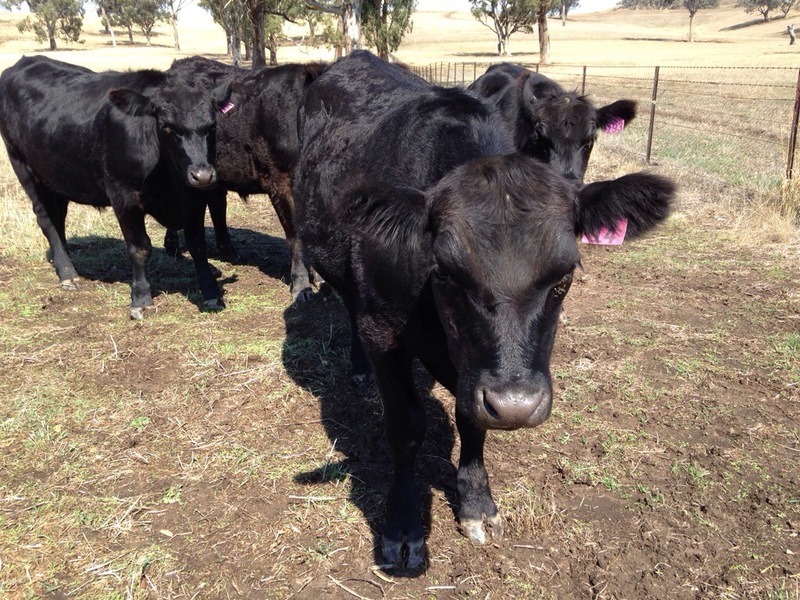 They’re very calm and we can now walk them to other paddocks… Well mostly! There’s a couple who think its fun to keep me fit and get me running after them as they bolt in the opposite direction to the rest of the herd! A couple of others have become very friendly and stay quite close when we’re herding them. They don’t want to be petted but once we’re the other side of the fence, their confidence grows. 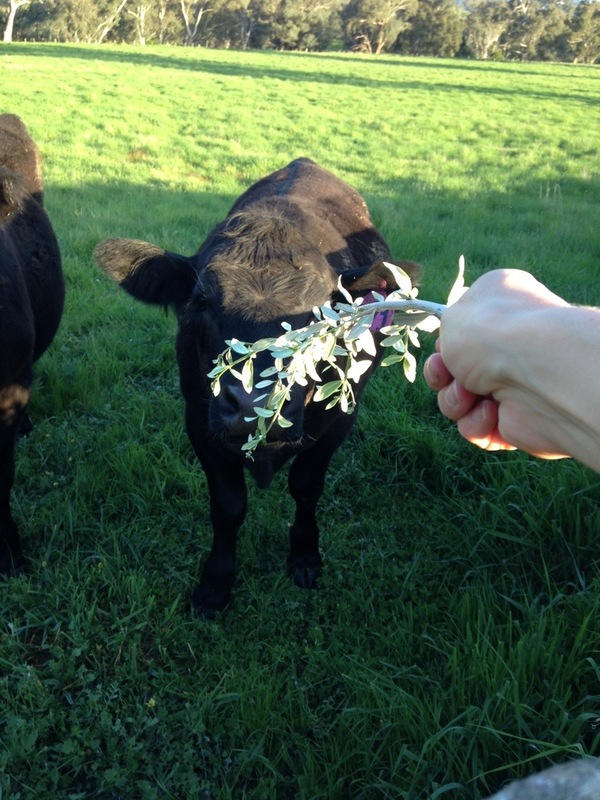 I’ve noticed they like munching the branches of the olive trees in the paddock so this morning I decided to extend an olive branch… And one of the boys took it! Super cute stuff and I captured the moment! Bringing up animals in a calm way just feels right. Greener pastures awaited our boys this morning, so we swung open the gates. But they seemed to be content where they were. I don’t blame them. Under clear blue sunny skies, some had pulled up a patch and were lolling about lying under one of the big gum trees. They soon started to get the gist when we made our way towards them. A few “koo-mon’s” and they were off in the intended direction. But there’s always one who wants to be the stand out, and this morning this was multiplied by three. The jokers who think it’s amusing to hang out at the bar for just that bit longer. 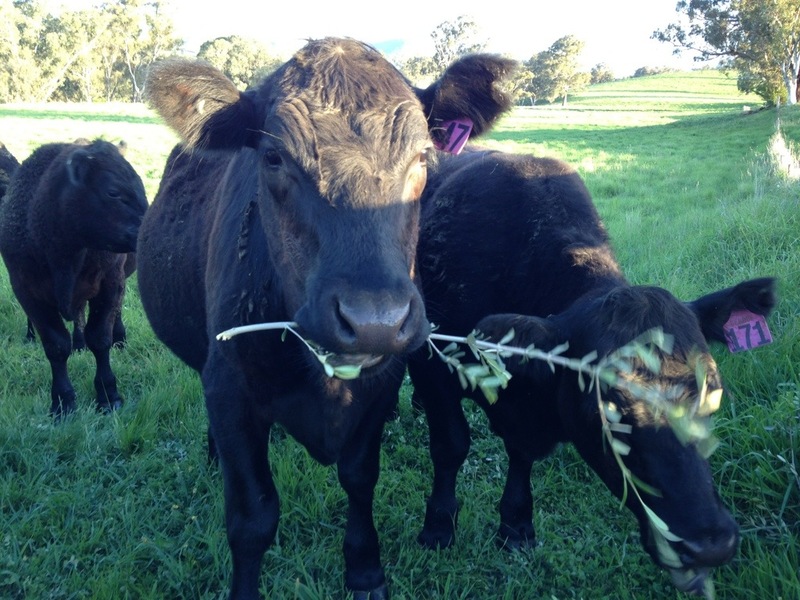 Our collection of garden off cuts is a smorgasbord for the boys, and these three were having double helpings. And to their credit, it is pretty funny! Those brown eyes blinking at you, those four (or twelve) stubborn legs glued to the spot. And just when you get within a couple of strides, they’ll turn and shimmy off, joining their mates who have seen the joke a thousand times & don’t want to encourage them. And I promise one of them winked at me when I started giggling, just like any good country boy would!